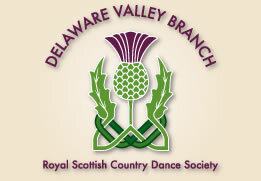 The Delaware Valley Branch is the local association of the Royal Scottish Country Dance Society. As such the Branch seeks to further the goals of the Society by promoting Scottish country dance through classes and social events for members and the general public. We aim to share this dance form throughout the Delaware Valley. The Branch offers a unique experience to our members and the public by encouraging physical fitness through energetic dancing and enjoyment of Scottish music in the region’s vast multicultural environment. 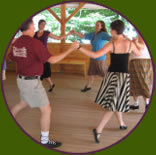 The Royal Scottish Country Dance Society serves anyone interested in traditional Scottish country dancing and music. The RSCDS has been teaching Scottish country dancing since 1923 and is acknowledged as the leading organization for this expression of Scotland’s rich cultural heritage. With Branches and groups on every continent, the world is your oyster! Whoever you are, wherever you are, you can come along and be part of our worldwide dance community. We run a wealth of classes at all levels as well as workshops, social dances and special events for our members. Dance Scottish…for fun….for fitness….for friendship.